A pretrial conference in a criminal case is an opportunity for your lawyer to talk with the prosecutor about the case. Generally, pretrial conferences are done between lawyers and the defendant does not participate or attend the meeting although the defendant almost always has to be at the court for the hearing date. In most cases, the parties appear before the judge following the meeting to advise the judge on the status of the case. There can be one pretrial in a case or several depending on a multitude of factors including the complexity of the case, the potential sentence that may be imposed, other related cases pending in different courts, the need to expedite or delay litigation and much, much more. In many cases, discussions regarding plea negotiations take place at the pretrial conference. Although there are many cases where plea negotiations take place outside the court house, much of the work of the defense lawyer is done at this critically important meeting. Intense out-of-court preparation is done by an experienced attorney to insure that he is in the best possible position to negotiate and persuade the prosecutor to resolve a case in a way that is satisfactory to the client. The lawyers with LEWIS & DICKSTEIN, P.L.L.C. take the time to have discussions with the prosecution and provide documentation to the prosecutor in advance of the pretrial, when possible, to make the hearing as productive as possible. Where a less experienced attorney, court appointed lawyer or a bargain attorney may plan to just show up and “wing it”, our team takes great care to plan for the pretrial conference in advance of the hearing by working together to formulate the most persuasive arguments possible. There are also cases where the client may have no interest in entering a plea and will accept nothing less than a dismissal or a trial. When this is the plan, we will talk with the prosecutor about the trial process to determine what can be done to get our client’s the greatest possible advantage. Important trial decisions are often made based upon information obtained at the pretrial. For example, whether the trial should be bench or jury, whether to stipulate to evidence or a determination of the qualifications of an expert, and much more. The discovery in a case can be anything from simple to extraordinarily complex and voluminous. Cases we handle include misdemeanors and felonies with police reports that are only a few pages to complex RICO prosecutions in Federal Court with tens of thousands of pages of reports and thousands of hours of recorded calls and meetings. There are also cases with no physical exhibits and others with evidence that is tangible and needs to be analyzed or physically examined. We will discuss issues of missing discovery, delivery of reports and discovery materials, and scientific evidence at the pretrial to determine what has to be done to get access to all of the evidence being used by the prosecutor and law enforcement. Disputes regarding what items qualify as discovery and the timing of the production of reports and evidence are discussed at the pretrial conference. In many criminal cases, both misdemeanor and felony cases in state and federal court, motions have to be filed regarding disputed issues. The range of motions that can be filed in a criminal case is seemingly never ending. The areas that frequently result in contested motions being filed include the admissibility of evidence, undue delay in the proceedings, deprivation of due process, violations of the constitution, the admissibility of evidence and the conditions of bond. Although an experienced criminal defense lawyer will make every effort to persuade the prosecutor into stipulating (agreeing) to any relief that is sought on behalf of the client, some issues cannot be resolved without a fight. It is well known by prosecutors that many defense lawyers in Michigan are too fearful or inexperienced to put up a legitimate, credible fight on a contested issue. 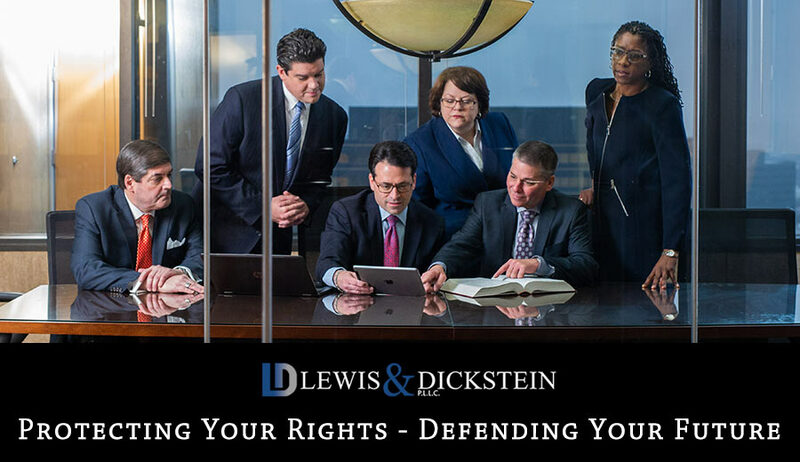 The criminal defense specialist with Lewis & Dickstein, PLLC are widely known by prosecutors and judges to be fighters and take motions filed by our firm very seriously because we are a credible threat. Pretrial discussions are used to determine what motions are necessary and what issues can be resolved amicably. In cases where a motion is unavoidable, discussions with the prosecution can help pare down complex issues so that a motion can focus on the most important points. The prosecution and defense may or may not agree as to what constitutes evidence in a case. Whether the parties are discussing the possibility of a motion or a trial, a pretrial conference is often used to review the evidence each party intends to introduce or oppose. By reviewing the evidence prior to a motion, evidentiary hearing or trial, areas of agreement and disagreement can be explored and determined. After the pretrial discussion, the parties often appear before the judge to advise the court on the status of the case. If a dismissal has been agreed upon, the prosecution will generally request that the case be dismissed. If a plea bargain or sentence bargain has been reached, the prosecution and defense will advise the court of the resolution and the plea is then “placed on the record.” This means that the terms of the agreement are stated in open court and the defendant acknowledges his or her agreement with the terms of the bargain. In some cases, the defendant is sworn under oath and asked to tell the court the factual basis of the plea. If the case is going to be set for trial or a motion hearing, the parties will advise the court regarding what direction the case is going and the court will set dates for future hearings. Finally, there are many cases where it takes more than one pretrial conference to determine the necessary course of action. In these cases, the parties will generally ask for an adjournment or another pretrial so that there is additional time to work out complex issues. Not already a client with LEWIS & DICKSTEIN, P.L.L.C.? We know that our clients often experience tremendous stress and anxiety when charged with a criminal offense. We take the time to help the client understand the criminal process so that their stress level can be reduced and they do not have to worry about not understanding the procedure for the various court hearings. One of the many things that separates LEWIS & DICKSTEIN, P.L.L.C. 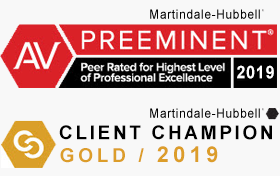 from other criminal defense attorneys and court appointed lawyers is that we take the time to prepare in advance of the pretrial so that we are in a position to get the highest tactical advantage for our clients. 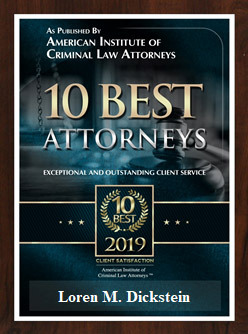 The advantage to having a team of criminal defense attorneys is that we have the collective experience of many successful defense lawyers to work together to determine the strategy with the highest chance of success. If you are charged with a criminal offense and you need someone to fearlessly, tenaciously and zealously fight for your rights, give us a call at (248) 263-6800 for a free consultation or you can complete a Request for Assistance Form and a seriously experienced criminal defense lawyer will promptly contact you.